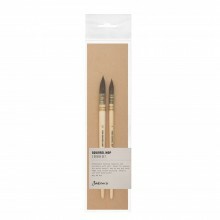 Escoda Tadami brushes are made from brand new imitation mongoose synthetic fibre. They give all the unique characteristics of mongoose hair including spring and control while maintaining a very affordable price. More spring than sable and softer than hog. 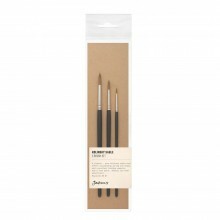 A beautiful brush with stylish black tip.